Shishukunj is creating a wall of bricks, on the first floor, dedicated to our members and well-wishers. We are inviting you to sponsor your very own brick to add to the wall. 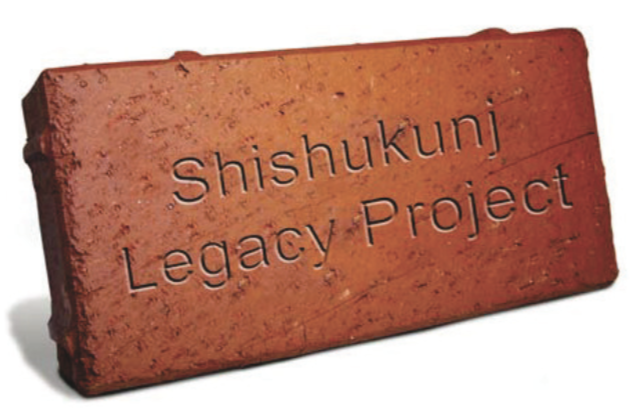 Each brick will come with your inscription, becoming a permanent legacy to the Shishukunj Bhavan. You can choose up to 2 lines of text on a single brick, with a maximum of 15 characters per line. The inscription can be your own name, your family name, or your child’s name. Please bear in mind that due to its location, the Wall of Life is intended to provide a positive and an uplifting welcome to all. If you would like to purchase multiple bricks please submit one form for each brick. Photos for illustrative purposes only. The final location, layout and design of the wall will be decided by Shishukunj. We are not able to guarantee the position of any brick on the wall. We reserve the right to refuse any inscription which is deemed unsuitable for the nature of the project. The bricks will remain the property of Shishukunj. Bricks may be subject to wear and tear without liability to Shishukunj. Please note that this donation is not eligible for Gift Aid. More about Gift Aid.